Dr. Bill Scelza brings a unique perspective to treating spinal cord injury (SCI) patients at Craig. At 17, Dr. Scelza was involved in an auto accident where he and a friend in the car with him sustained similar spinal cord injuries. The two were able to do their rehab together at a local hospital close to their home in Akron, Ohio. However, the rehab facility was not specific to SCI, and he and his friend were about 40 years younger than most of the patients there. But they had each other and leaned on one another throughout their experience. Dr. Scelza quickly learned the importance of peer support. “I think it helps when you get through something like that with another person. You can bond and it’s easier to laugh when you go through challenging things together rather than in isolation,” said Dr. Scelza. Dr. Scelza returned to high school and, after graduating with his class, attended Kent State University where he majored in business. While attending college, he joined a wheelchair basketball team, the Akron Rubber City Rollers and later the Cleveland Wheelchair Cavs. 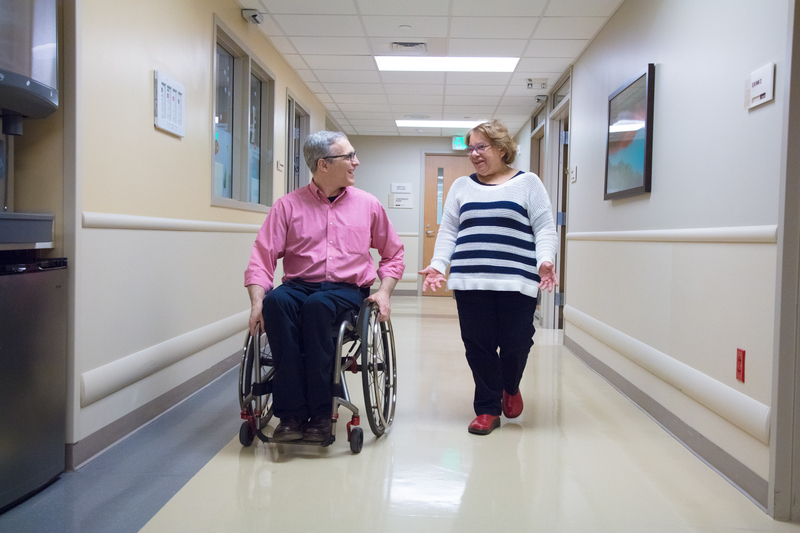 After connecting with others with the same injury and sharing their experiences, challenges and solutions, Dr. Scelza had a change of heart and decided he wanted to redirect his studies to focus on medicine, specifically to treating those with SCI. “After a year or so of adjusting to my injury and starting to figure things out, a strong interest in pursuing medicine came over me. It was a natural pathway to use my experience and all those challenges that I, and so many other people with disabilities, faced on a daily basis, for me to end up in the field of spinal cord injury rehabilitation,” said Dr. Scelza. During his residency program at the University of Michigan, Dr. Scelza learned about Craig Hospital and its reputation as a top rehabilitation hospital specializing in spinal cord and brain injury. It was a place that other rehabilitation hospitals emulated. Years later, while serving as the director of the Spinal Cord Injury Program at Carolinas Rehabilitation in Charlotte, North Carolina, Dr. Scelza was contacted by a recruiter from Craig. He felt Craig was the right place for him to be and moved with his family to Colorado. 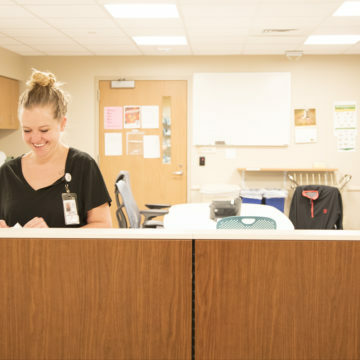 “Everywhere I’ve worked, there have been really good people and there’s been excellent care, but I’ve learned that the system of care at a place like Craig is so much more vast and comprehensive,” Dr. Scelza says. 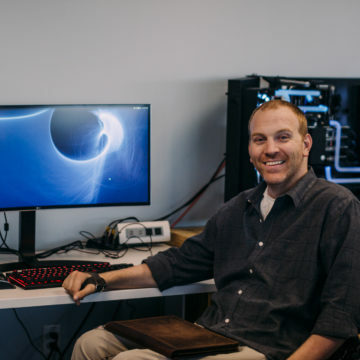 In his career treating people with SCI, he has received various reactions from the patients he has worked with: many are facing so many inward challenges that they may not acknowledge his wheelchair, while others will ask him about his injury immediately. 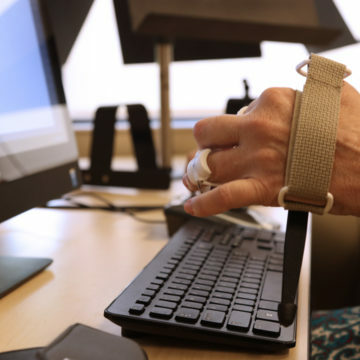 “I find patients often feel comfortable and open talking to me about their injuries when they see that I’m in a chair too,” Dr. Scelza says. When that happens, he shares his experience openly and honestly, but as a care provider, always redirects the focus back to the patient, their own unique situation and how they can work hard to leave Craig with the highest possible independence. Similar to Dr. Scelza, other Craig patients find inspiration to pursue medical careers after their injury. For example, Jeanie S. is a registered nurse at Craig, working with patients who have sustained traumatic brain injuries. She chose her career after spending nearly three months at Craig in rehabilitation for her own brain injury during high school. When asked for advice on pursuing medicine after their injury, Dr. Scelza advises patients to acknowledge their injury – pulling from their ambition and ability to overcome challenges – to help them succeed. “They have had a lot of challenges thrown at them that most people don’t have. I advise them to use that personal experience to help guide them through medical school,” Dr. Scelza says. Dr. Scelza has lived in Colorado for six years with his wife and three sons. Although he no longer has time for basketball, the entire family stays involved in Craig activities and events. Just as when he first sustained his injury, Dr. Scelza continues to move forward, never looking back. 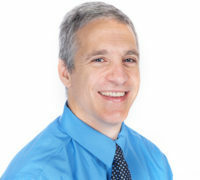 William "Bill" Scelza, M.D., joined the CNS Medical Group and Craig Hospital in 2011 and serves as Associate Clinical Professor at the University of Colorado School of Medicine - Department of Physical Medicine & Rehabilitation (PM&R) and as the SCI Medicine Fellowship Program Director. Dr. Scelza completed his medical training at Case Western University in 1998. He then went on to his residency training in PM&R at the University of Michigan, followed by a Fellowship in Spinal Cord Injury Medicine at the Kessler Institute in 2002-03. Prior to joining CNS, he was the Director of the Spinal Cord Injury Program at Carolinas Rehabilitation in Charlotte, N.C. Dr. Scelza has a wealth of personal and professional spinal cord injury experience, having lived with paraplegia since 1988. He is active with his family, recreation and disability advocacy.